CCC Team is ready to face the next two Spanish races of the season: the Vuelta Ciclista a la Region de Murcia and the Clasica de Almeria. 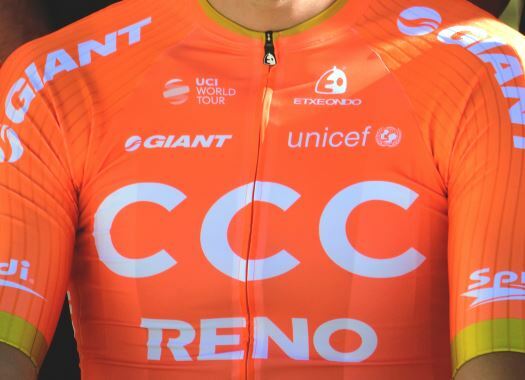 A few days after the first European victory of the season of Greg Van Avermaet at the Volta a la Comunitat Valenciana, CCC gets ready for the next two Spanish races. The team will be looking for more success in the Iberian roads. "CCC Team will be well-represented at both races this weekend," said Sports Director Gabriele Missaglia. "For all of the riders, with the exception of Jakub Mareczko, this will be the first time they race this year and for that reason, we won't have a clear team leader for Vuelta Ciclista a la Región de Murcia. Instead, we will take each day as it comes and use the race as an important test to see where the riders' form is ahead of Clásica de Almería, which we will go to with Mareczko as our leader for the likely bunch sprint. "However, I am confident in the ability of the riders we have racing in Murcia and I think we can look to make the most out of any opportunities that come our way. Then, with the team working for Mareczko, we will have a really good chance to make a nice result in Almería." Mareczko feels ready to start his European season after starting the year in Australia. "I'm feeling in good shape after the Australian season and I was happy to pick up a third place at my first UCI WorldTour race of the year," he explained. "Clásica de Almería is another opportunity for me to go for the sprint. It's still early in the season so there is more work to do in order to be where I want to be but I think my form is good. I am really happy that the team is giving me the opportunity to have a go here and I will definitely give 100% to try and make a good result."